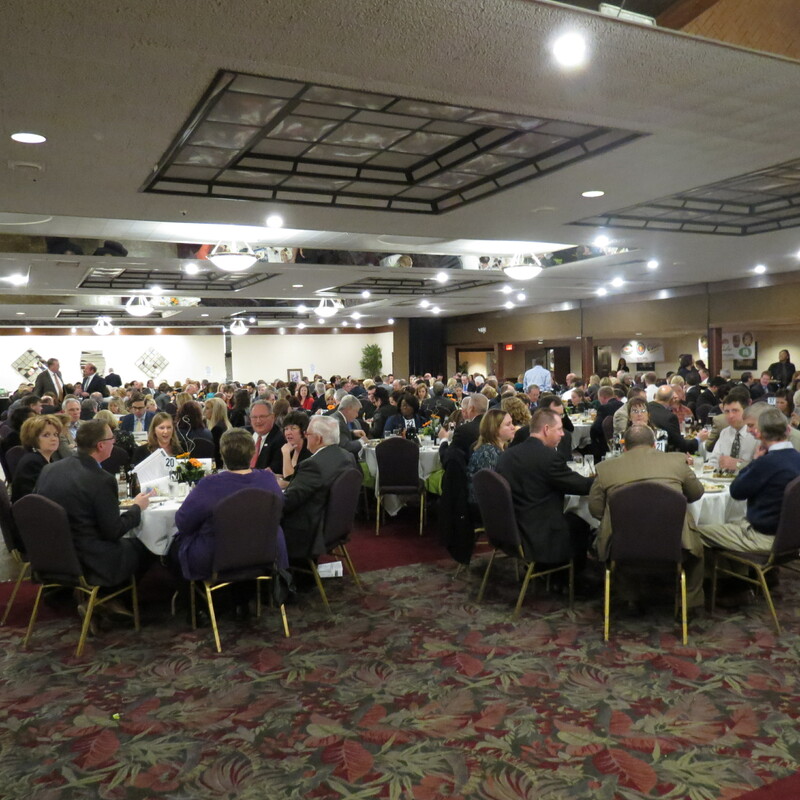 Over 420 people were in attendance at this year’s Annual Dinner & Silent Auction on January 28, 2016 at Fischer’s Restaurant. 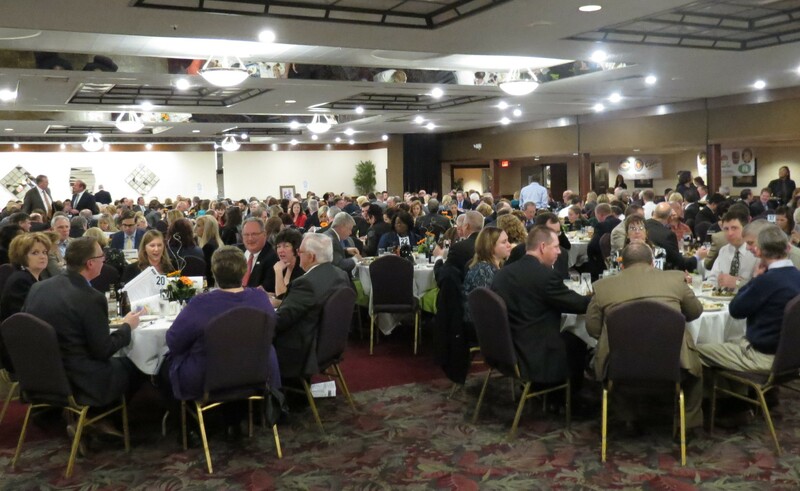 The event celebrated Chamber Members who went above and beyond in 2015 and set a promising tone for all the great things to come in 2016. The Chamber awarded two Business Excellence Awards at the event, one of which went to Belleville Public School District #118 for their commitment to providing students with a well-balanced education that includes the development and understanding of their role as responsible members of the community. Holland Construction Services was also awarded a Business Excellence Award for their good corporate citizenship and contributions to the community. The Chamber also recognized three individuals. John Wunderlich was the recipient of the 2015 Ambassador of the Year Award and Kathy Mehrmann was the recipient of the 2015 Leadership Belleville Alumni Award. This year’s Citizen of the Year Award went to Al Wunderlich who, for the last 20 years, has been volunteering more than 40 hours a week to help strengthen and reform the community through his work with the Franklin Neighborhood Association. His dedication to the organization has helped transform the community through a combination of before and after school tutoring, summer camps, field trips, a concerted effort to encourage parent involvement in school activities and a wide variety of social, academic, and health programs. The Chamber congratulates these very deserving individuals and businesses on their accomplishments.